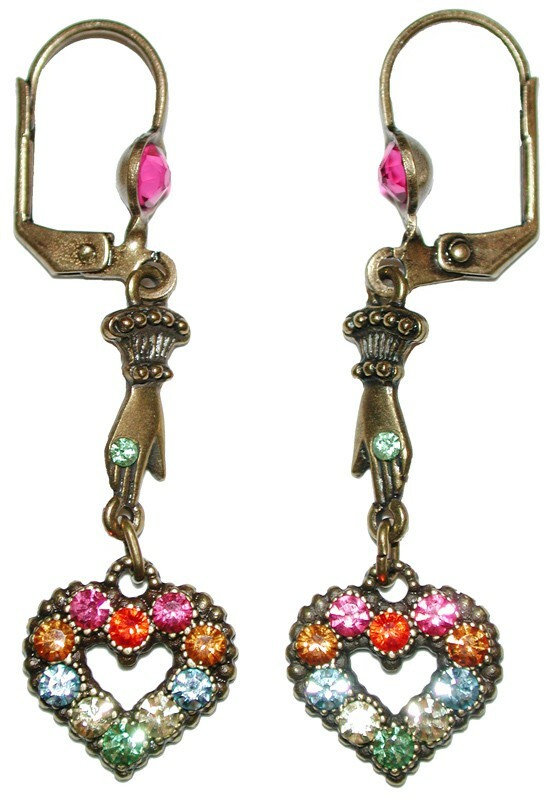 Michal Negrin delicate Victorian style earrings. 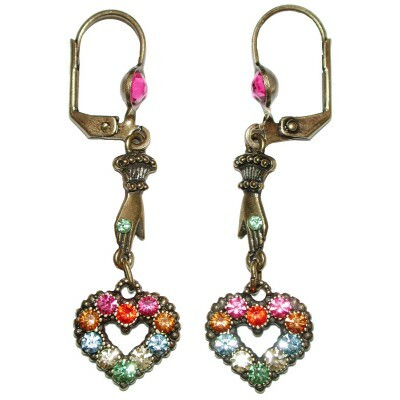 With a hand and a heart motifs and multicolor sparkling Swarovski crystals. Measure 1 2/3 inch long and 1/2 inch wide at their widest.